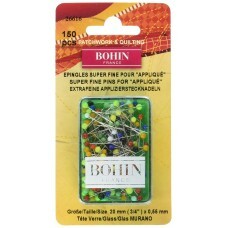 Excellent quality Bohin Applique Pins Super Fine with a Murano glass head. These pins are an ideal l.. 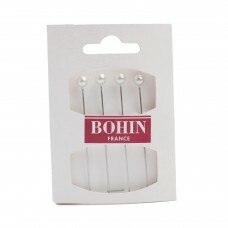 Excellent quality Bohin Dressmaker Pins are super fine, hard tempered and ideal for delicate fabrics.. 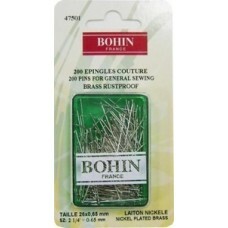 Excellent quality Bohin General Sewing PIns. The sharp point does not damage the fabric and the bras..
Embellish your hat, corsage or simply decorate a pin cushion with these beautiful pear shaped pins f.. 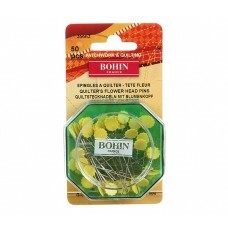 Excellent quality Bohin Quilter’s Flower Head Pins. These pins are very useful when machine sewing a.. 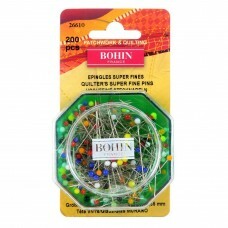 Excellent quality Bohin Quilter’s Super Fine Pins with Murano glass heads. These pins are perfect fo.. 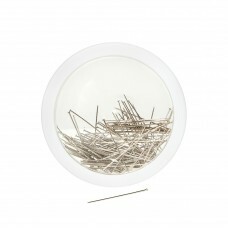 Excellent quality round head Hat pins. 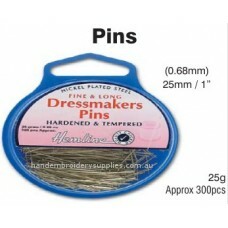 These pins are 2.5” long and are a useful tool for counting t.. 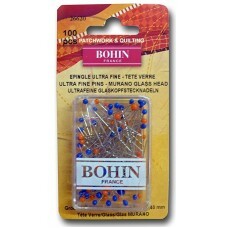 Excellent quality Bohin Ultra Fine PIns with a Murano glass head. These ultra fine pins are made out.. 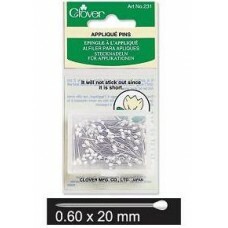 These short 2cm Clover pins are great for small applique work. 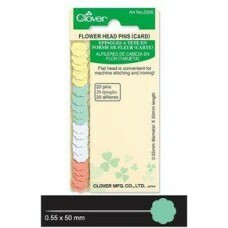 The pins come in a handy reclosable c..
Clover fine Flower Head pins are suitable for pinning shear/light weight thin fabrics. The flat head..
Clover Long Flower Head Pins can hold multiple layers of medium weight fabric. Their flat head is co.. 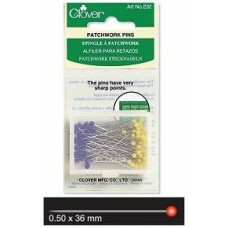 These excellent quality Clover Patchwork Pins have a small head and very sharp points. Their heads a.. 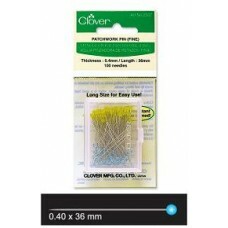 Excellent quality Clover extra-fine patchwork pins, which smoothly pass through fine fabrics. 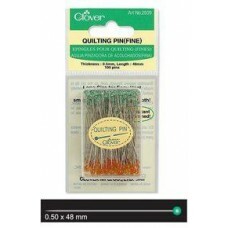 Ideal ..
Clover Fine Quilting Pins are perfectly suited for quilting, as the pins have a sharp tip and strong.. 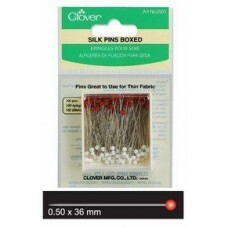 Excellent quality Clover silk pins that are great to use with thin fabrics. Their head is made of ir..
Hemline fine and long Bridal and Lace pins are nickle plated brass pins. Rustless for Bridal and Lac.. 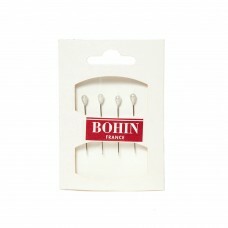 Finest French silk pins from Access Commodities. 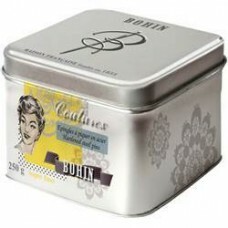 Suitabe to use with fine fabrics and will not leave..